Who: Luca Turin and one of my favorite friends, Tania "Tbone" Sanchez. They are the authors of Perfume: The Guide. 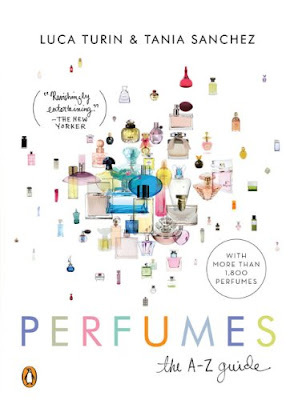 When: Friday, Febuary 5th 2010 at 6:45 p.m.
What: A fragrance lecture, scented throughout with examples, delves into the enjoyment of fragrance, the chemical discoveries that made modern perfumery possible, and the enduring mystery of how our noses figure it all out. There will be a glass of bubbly. Price: Reservations required. Prices range from $40 for general admission to $25 for members. No tickets will be sold at the door. Ticket and photo ID required for admission. Business attire. Why You Should Attend: Because I wish I could. I miss my Tbone and there is nothing like listening to the both of them dish on fragrance. It is a treat for any fragrance junkie. And the guide is finally in paperback. I want Guide Volume 2. Is there any word on whether the duo will write another book??? My Guide is all dog-eared and well-loved. Thanks! I just got the paperback version. They have new reviews in there! I am biased...but one of my favorite things on earth is listening to Tbone and Mr T discussing fragrance. What you read in the books...goes on in real life. Throw in Tbone's cooking...and it is the best way to spend an evening.